Join Andrea Stong and tune into your innate ability to heal yourself, others, animals and plants. This class will give you more than just the basics. 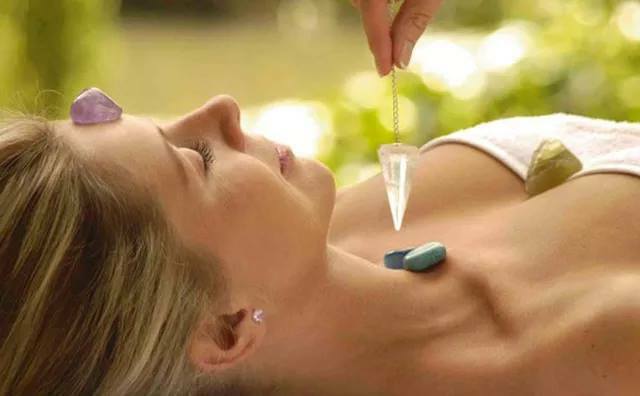 It’s a very intensive training that encompasses many aspects of Energy Work that will certify you in Levels 1 & 2 of Usui Shiki Ryoho lineage of Reiki and Chios Energy Healing, which also focuses on the chakras and auric layers. Energy work and practicing the Reiki principles can assist each individual vibrate higher in harmony for their truth, shedding negativity and lower vibrations that often prevent us from achieving health and success in all areas of our experience. If you are intrigued by energy work or feel drawn to feeling more connected spiritually, Energy work can accelerate your personal growth and lead you on your journey! Level 1 Advanced Energy Healing is ideal for anyone interested in learning more about energy work, the history, how it works, healing oneself, beginning to work on others and the benefits. Energy healing can be used to enrich your everyday life, help you embrace positive change in your experience, and also support you along your spiritual path. Within weeks and months, most students find that they feel in better control of their lives, become more intuitive, and therefore feel a stronger sense of purpose, no matter what their background or career goals are. Level 2 attunes you to additional higher frequency energy and tools, giving you the ability to increase your abilities, work on and heal others through emotional / mental healing, distance healing, how the chakras and layers of the aura directly affect our mind, body, and spirit, how to view and sense auras, how to balance and heal the chakras and layers of the aura, and lots of hands on practice. How to have a successful practice and discuss Master Teacher Levels will also be included. All Advanced Energy Healing classes are kept small to keep individual attention at a maximum. Students are encouraged to explore their individual strengths, and each individual’s path and needs will be honored and respected. Classes are taught in a very respectful manner, keeping Reiki and Chios a sacred healing art and also exploring additional modalities that can further your intuitive healing abilities. Your investment of $450.00 Includes: Water, Tea, Healthy Snacks, Workbooks, crystal chakra set, certification of both Reiki and Chios Levels 1 & 2, and continued support with your practice thereafter.